A major literary event: a newly published work from the author of the American classic Their Eyes Were Watching God, with a foreword from Pulitzer Prize-winning author Alice Walker, brilliantly illuminates the horror and injustices of slavery as it tells the true story of one of the last-known survivors of the Atlantic slave trade—abducted from Africa on the last "Black Cargo" ship to arrive in the United States. In 1931, Hurston returned to Plateau, the African-centric community three miles from Mobile founded by Cudjo and other former slaves from his ship. Spending more than three months there, she talked in depth with Cudjo about the details of his life. 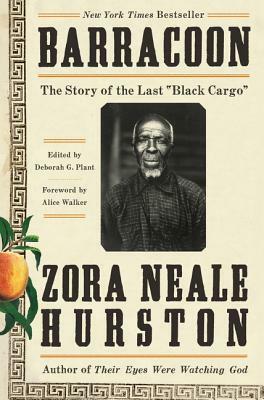 During those weeks, the young writer and the elderly formerly enslaved man ate peaches and watermelon that grew in the backyard and talked about Cudjo’s past—memories from his childhood in Africa, the horrors of being captured and held in a barracoon for selection by American slavers, the harrowing experience of the Middle Passage packed with more than 100 other souls aboard the Clotilda, and the years he spent in slavery until the end of the Civil War. Alice Walker won the Pulitzer Prize and an American Book Award for her novel The Color Purple. She has written numerous poems, essays, and short stories, including her most recent book, The Way Forward is With a Broken Heart. Originally published in 1974, Langston Hughes: American Poet was Alice Walker's first book for children. This picture book biography is now back in print with a new author's note and beautiful new illustrations. Ms. Walker lives in Northern California.